You can buy Rover tickets for all of our ordinary operating days. Tickets for special event dates, when seperate fares may apply, cannot be purchased on this page - please visit our main website and see the event page for event you are interested in. 1) Choose the date of your visit on the calendar grid below. You can buy tickets for dates coloured green. The tickets will be dated for the date you have chosen and cannot be used on any other date, nor can they be refunded. However, once you have made your booking, if you subsequently need to the change the date of your booking you can do so by contacting us via email - details of how to do this will be on your booking confirmation. 2) Choose the tickets you require. All Rover tickets allow unlimited travel in the date of your visit, and also allow free entry to the Rail Story museums at Ingrow station. 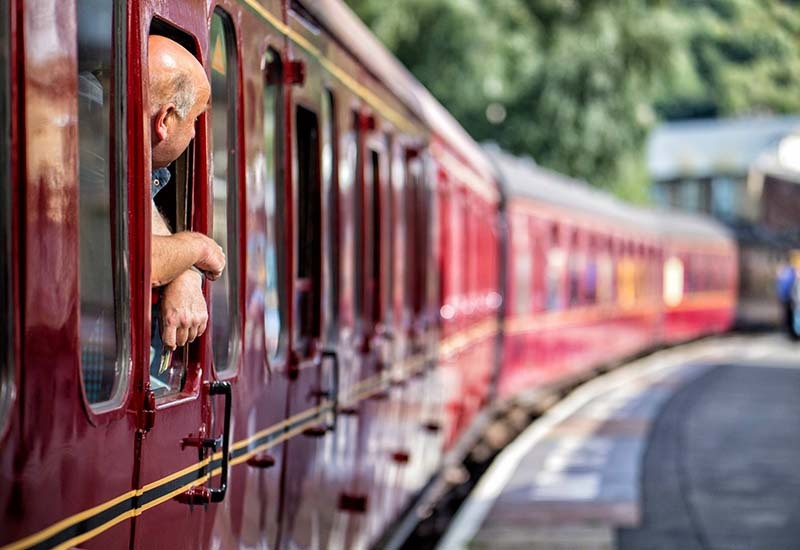 Members or Local Resident Railcard holders cannot yet buy tickets online. Rover Tickets for 1 day. Not Valid on Special Events.